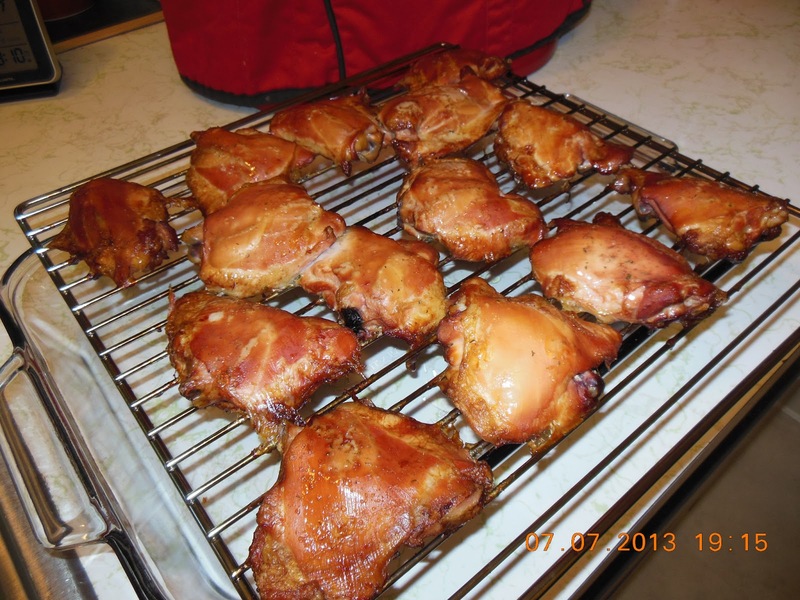 How to make Smoked Chicken Thighs, bulk process, start to finish - Our Sunday Cafe, the Retirement Edition! 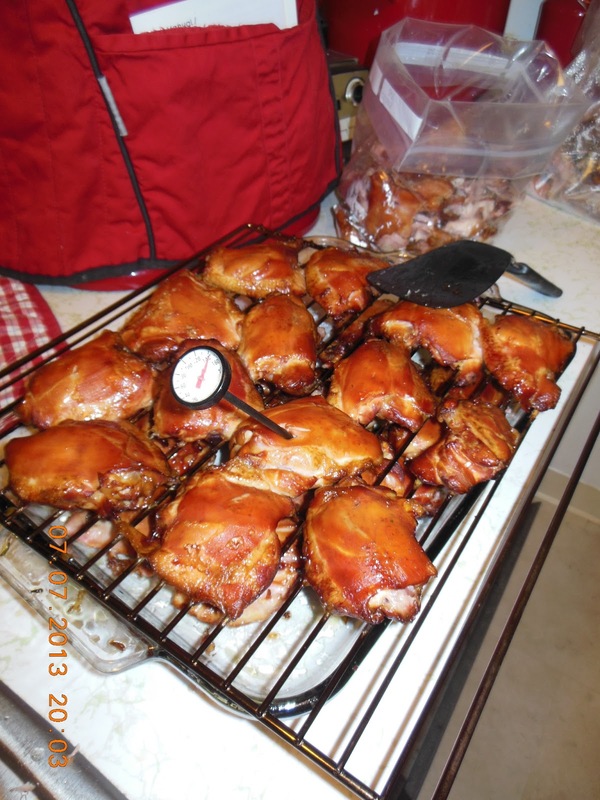 We love smoked foods. Some meals I need convenience. 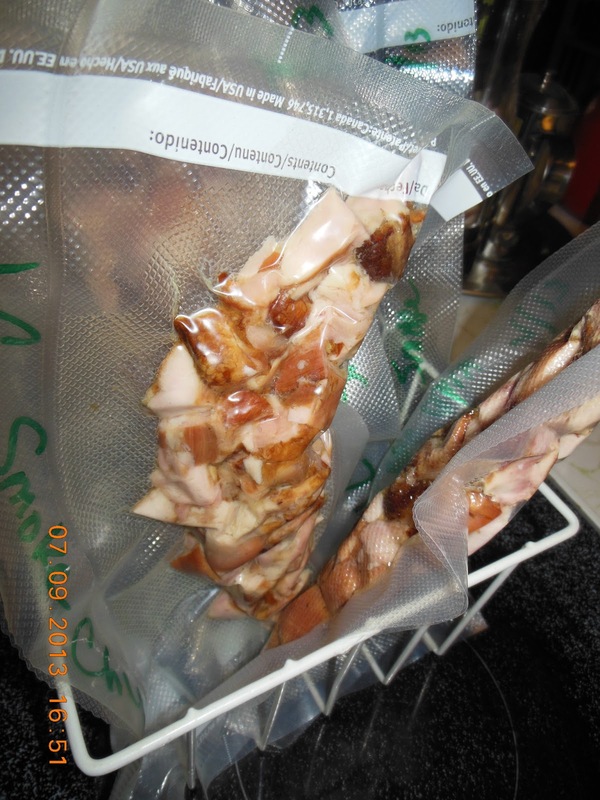 Smoked chicken in the freezer ready to go is one answer. 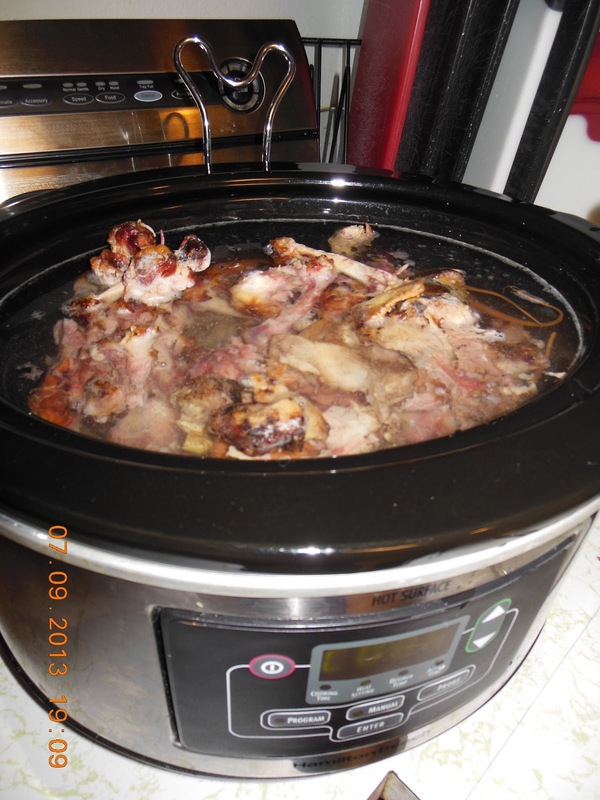 It is delicious, can be made into many things or simply add to a salad for a quick meal. 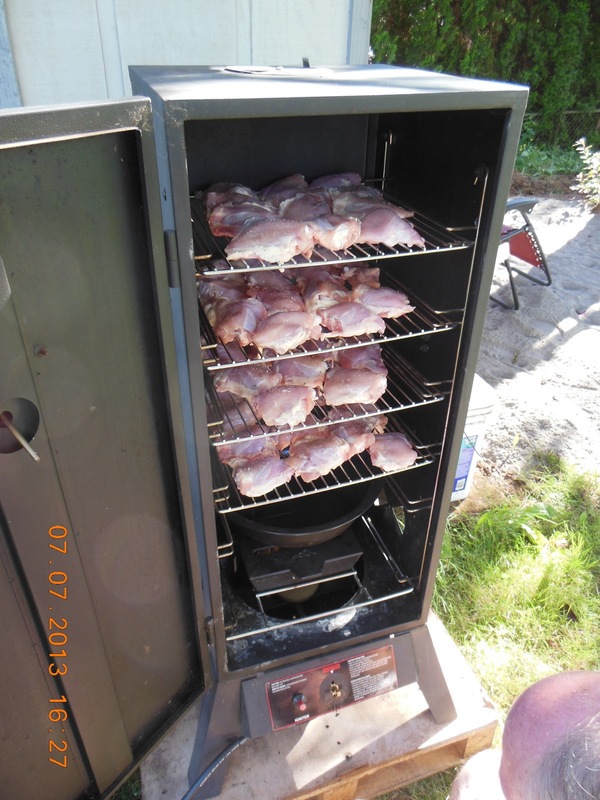 We are not experienced in smoking foods, but everyone needs to start somewhere. 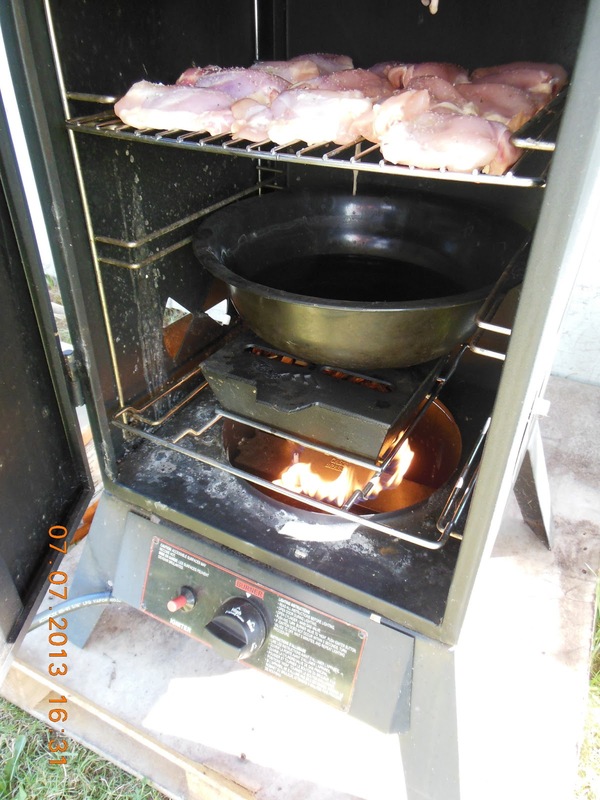 We got the smoke going, turned everything to low, and temped the food to see when it was done. Let's get started, shall we? I must say this right now, my husband is up for anything I want to try, he had a good time and loves the chicken.....I am so lucky! He is one handy guy to have working the smoker. 1. Soak your wood chips. You can do this while prepping the food or start soaking the night before. Add chips to the chamber, start the flame, on low. 2. Load the smoker, ours holds 4 trays, so we fill each one. 3. Keep the drippings bowl full of water, and the flame low. You don't want to cook by heat, only by indirect smoke. 4. Check the condition inside the smoker, about every hour in the beginning. 5. With this much color, it is time to check the bottom tray for internal temperature. 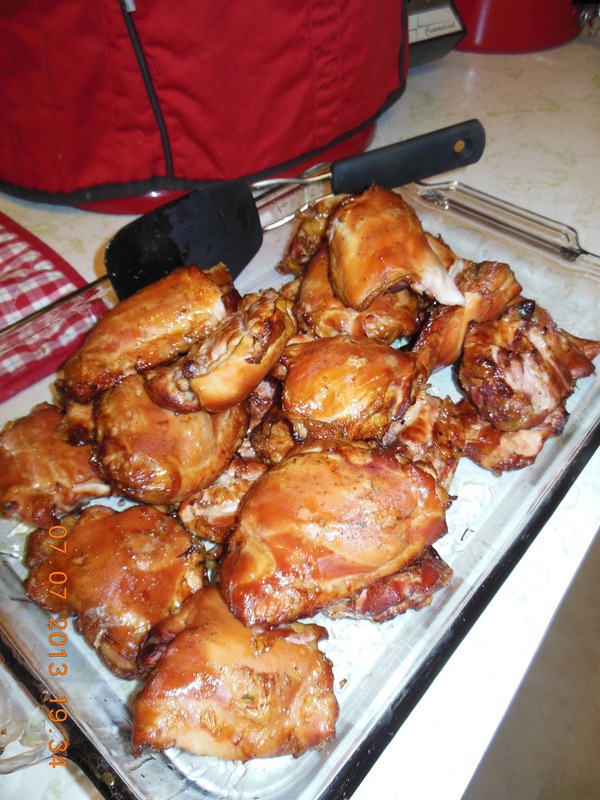 For cooked chicken you want to reach 165 degrees. 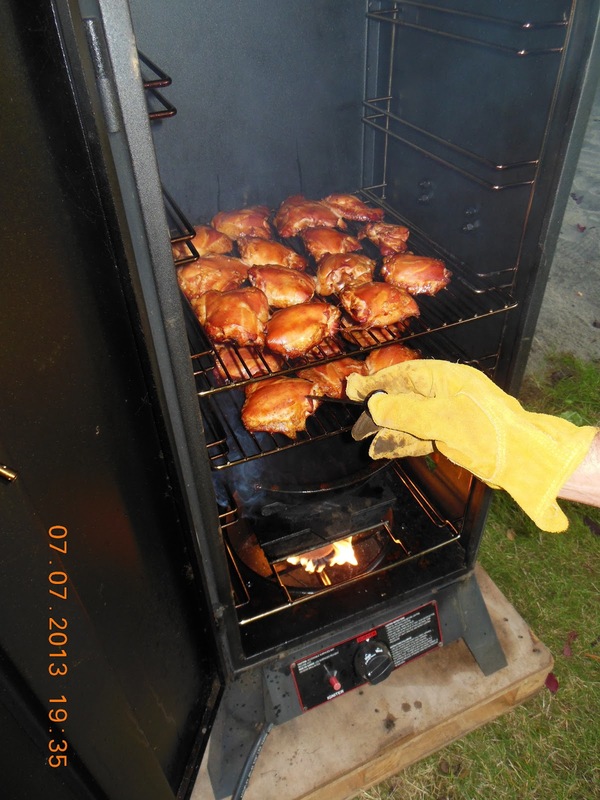 Continue smoking (and checking) until desired temperature is reached. 6. Bottom tray is done, remove to cool. 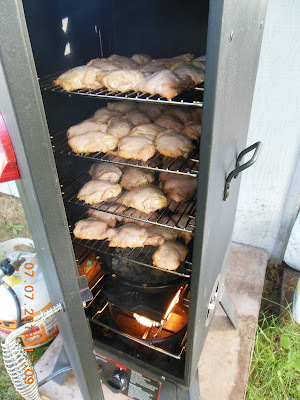 Important: carefully rotate each tray down towards the smoke source. 7. Second tray done, again rotate remaining trays down. 8. 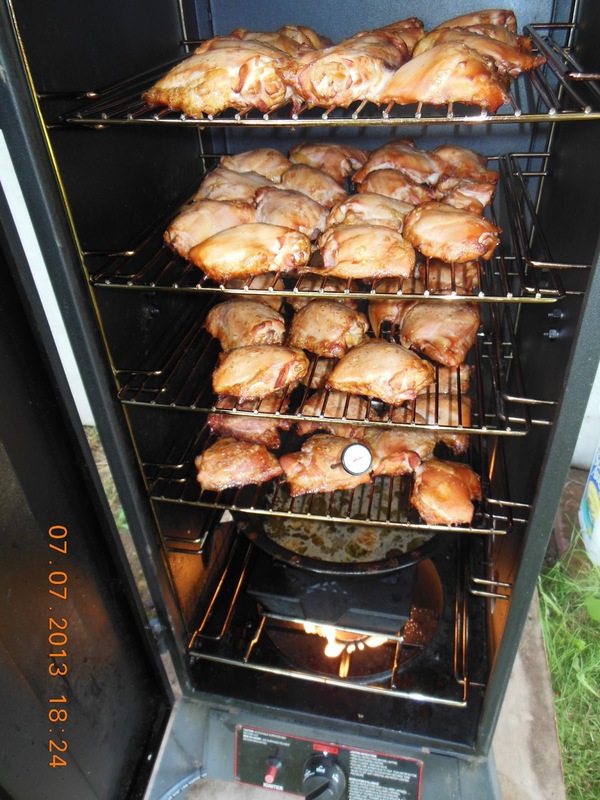 The last two trays will cook faster once rotated down, they have actually been in the smoker the longest, simply further away from the smoke. Keep a careful watch, you don't want jerky thighs. 9. All trays done, all taken out at 165 degrees. 10. 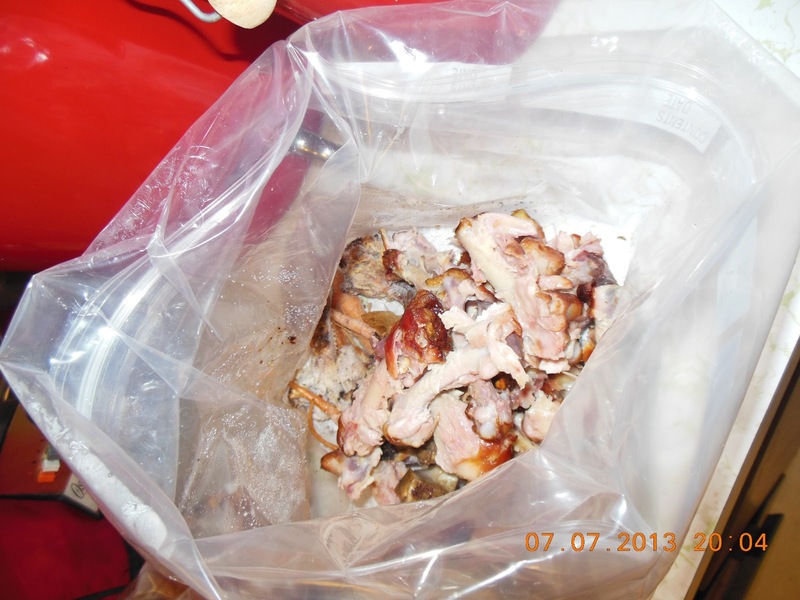 When chicken has cooled, remove from bones, saving bones for stock. 11. Meat was diced, packaged for the freezer in two cup and one cup portions. 1 comment kitchen basics, poultry, Stock your Pantry! I love the taste of smoked foods. It just has such a wonderful taste to it. Thank you for sharing your process with us. It was very educational.